In 1651, the future King Charles II hid in an oak tree after defeat at the Battle of Worcester. It is said that he negotiated his escape to France at the George Inn with a local boat owner on the site of what is today a hotel on West Street. The George Inn later became the King’s Head which was demolished as part of a road widening project that took place from 1928 to 1938. In 1934, the Sports Stadium, or SS Brighton, sprung from the rubble. The SS opened as a swimming pool and was said to be the largest covered seawater pool in the world at 165 by 60 feet. The building cost £80,000 and had an imposing symmetrical façade which was faced with cream tiles. Many elements of the SS, such as its ocean liner style interior, were nautically themed. There were in fact a series of ships named SS Brighton; the most famous being the SS Brighton IV which sailed from 1903 to 1930 on the Newhaven-Dieppe service. It was one of the first steam-turbine ferries and was responsible for the loss of the five-masted Preussen, the world’s largest sailing ship, by collision in 1910. The swimming pool couldn’t have been a great success as after just fifteen months it was converted into an ice rink. A hugely successful ice hockey team, the Brighton Tigers, was formed in 1935 and the SS was naturally their home. Many non ice-based events were also staged at the Sports Stadium including judo, wrestling, basketball, tennis and even political conferences. The SS closed in 1965 and was tragically demolished in 1966. The Tigers sadly disbanded in 1967. The neighbouring Odeon cinema, which was built between the SS and St. Paul’s Church in 1937, closed in 1973 though the building did survive until 1990. 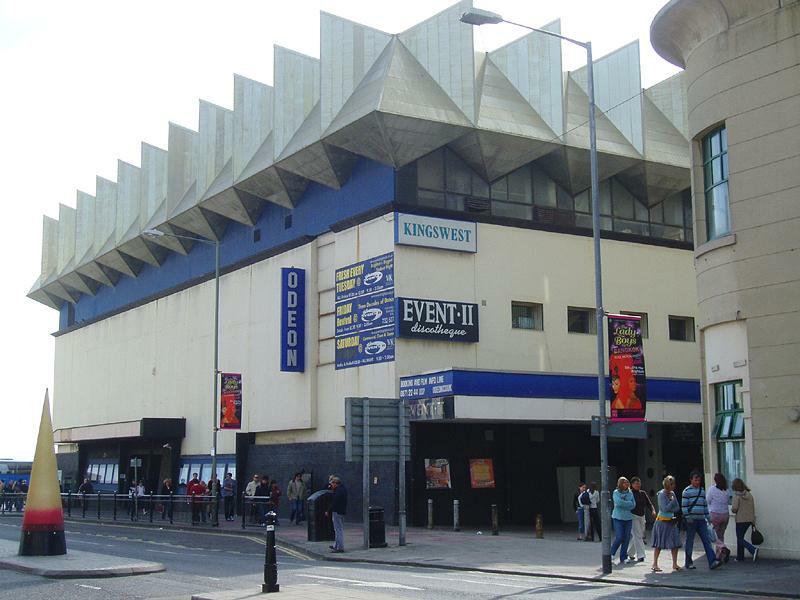 An ice rink and cinema were then incorporated into the then newly-built (yet still horrific) Kingswest building to the south. 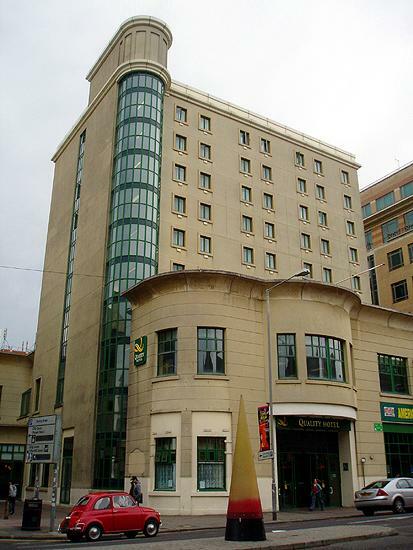 The sites of the SS and Odeon were then subjected to a multi-million pound development during the 1990s and are today home to the Quality Hotel and Family Assurance Friendly Society. With plans in the pipeline for a new ice rink at Black Rock, the revival of the Brighton Tigers seems inevitable. The construction of a new Brighton Centre should see off Kingswest once and for all. Churchill Square, Chartwell Court and Sussex Heights must surely follow.